NUarts Gallery is excited to showcase for the month of April “Africa”, a creative collaborative journey of Dee Randolph and Kathy Gideon. 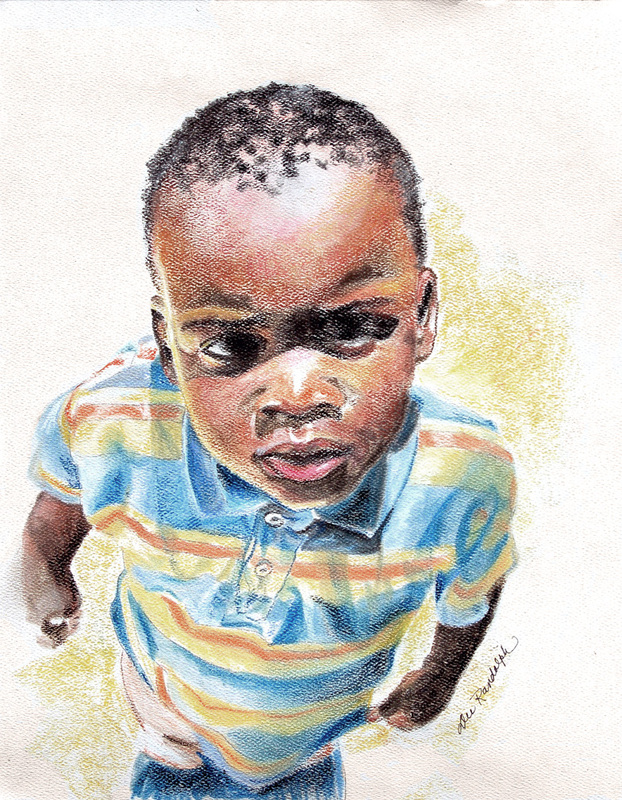 Dee Randolph, a Masters graduate from San Diego State University, is an illustrator with a background in medical and scientific illustration. Kathy Gideon received her Masters in Psychology from Columbia University and has worked for many years in the field of art therapy. 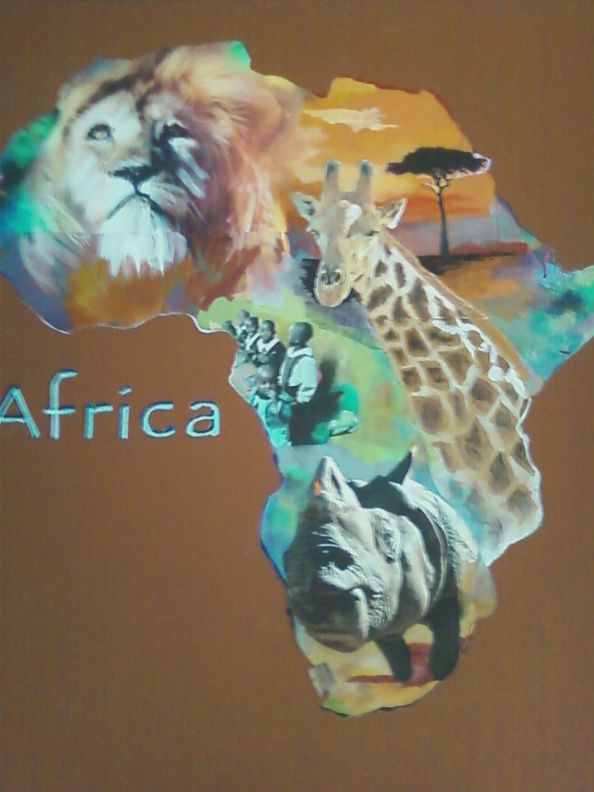 “Africa” includes compelling photographic images and works in pastel, acrylic, water color and collage/mixed media inspired by Gideon’s recent and previous trips to Kenya. Proceeds from the sale of the work will go to the SAWA SAWA Founation, a non-profit dedicated to supporting the people of Africa in their efforts to develop and sustain programs of health, education, commerce, agriculture, art and social services and develop cross-community understanding. An opening reception, part of the citywide celebration First Fridays Artswalk, will be hosted by NUarts Gallery on Friday, April 5, 5-8pm. The NUarts Gallery, located at the top of the Union Street entrance, next to Mary’s Carrot Cake and Gallery 25, will have new exhibits each month with openings in conjunction with Pittsfield’s First Fridays Artswalk Many of these shows are solo exhibits, some duo shows, and a few times a year the entire group will display works to celebrate special occasions. NUarts Gallery is part of NUarts studios/gallery, currently housing 17 artists in varying disciplines. Artists include are Marguerite Bride, Dan Brody, Debbie Carter, Joanie Ciolfi, Diane Firtell, Kathy Gideon, Susan Himmel, Ellen Joffee-Halpern, Sophia D. Lee, Lisa Merullo, Dee Randolph, Dawn Metzer, Sam Ponder, Deborah Rufo Buratto, Harrison Searles, Sally Tiska-Rice, Eric Shuman, Claudia Shuster and Scott Taylor. 27 Mar	This entry was written by nuartspittsfield and published on March 27, 2013 at 2:18 am. It’s filed under exhibit. Bookmark the permalink. Follow any comments here with the RSS feed for this post. Newer: NuFaces at NUarts and FLOORWIDE Spring Art Sale!